It may be that you’ve complained about someone at work who is discriminating/harassing or retaliating against you at your Florida workplace, yet nothing has been done – that person is still employed. Or, maybe the employer decided to hire someone that they knew or should have known had a background of harassing behavior or tendencies to be discriminatory or has engaged in these behaviors in the past. In these situations at your Florida workplace, you may have a potential negligent supervision or negligent retention case. State and Federal law prohibit employers from engaging in employment discrimination. When your employer hires another employee who is causing harm to you through his or her discriminatory practices or keeps someone employed despite knowledge that they are a harasser/discriminator, you may be able to hold your employer liable. Employer’s decision to hire the employee was unreasonable given what the employer knew or should have known about that employee. In that case, the Florida Supreme Court stated: “The core predicate for imposing liability is one of reasonable foreseeability . . . . With regard to the claim for negligent hiring, the inquiry is focused on whether the specific danger that ultimately manifested itself . . . reasonably could have been foreseen at the time of hiring.” In other words, you’re looking to see whether the harasser’s actions could have been foreseen by the employer because of things about them that have happened in the past or because of their background. Employer fails to take any action regarding the employee’s possible unfitness, such as reassigning the employee, discharging the employee, or investigation the complaints against the employee. To be clear, negligent retention claims are similar to negligent hiring claims, but in a negligent retention case, the employer typically learns about an employee’s unfitness for a particular task or for the job in general at some point during the course of that employee’s employment (instead of at the time that the employee is hired for a negligent hiring case). 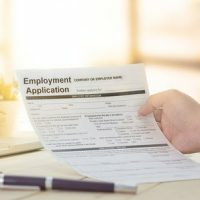 Negligent hiring and negligent retention claims can be complicated, but an employment discrimination attorney in Florida can help. For questions about whether you may have a negligent hiring or retention claim in your Florida workplace, contact an experienced employment law attorney.